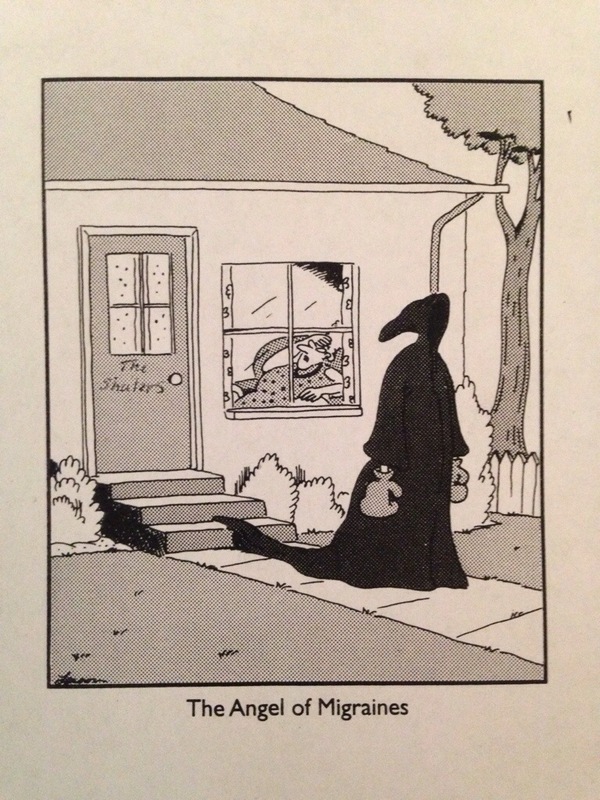 This is an old “Far Side” cartoon that J found yesterday. I don’t have much to say. I have a virus; I think it may finally be clearing out of my system today. Monday is J’s long day at work. I am tired. I have been having lots of Yellow Days – moderate pain. I go back to Dr Mitzi next week. I think I will ask Dr S for a referral to a new neurologist when I see her at the end of August. A friend recommended one to me. Zo is playing a Phineas and Ferb app on the iPad, X is using “Voxer” on the iPhone which is now hers, though it basically only works as a tiny iPad, no phone service anymore. My sister in law took them to the pool; I didn’t feel well enough to go. I finished The Arsonist by Sue Miller and started The Story Sisters by Alice Hoffman because I couldn’t get a copy of her new one. I think I’ve read it before but I don’t remember it. It’s nearing the end of summer, and finally getting hot. I don’t have much to say. I’m bored, and old. I’m glad to hear the virus is clearing up, hope you’re feeling well. I’m one of those weird people who rarely gets sick? I never get colds or a virus. But when I do get sick -it’s fairly bad. The last major illness I had was bronchitis two years ago. I guess migraines and headaches everyday are the trade off?